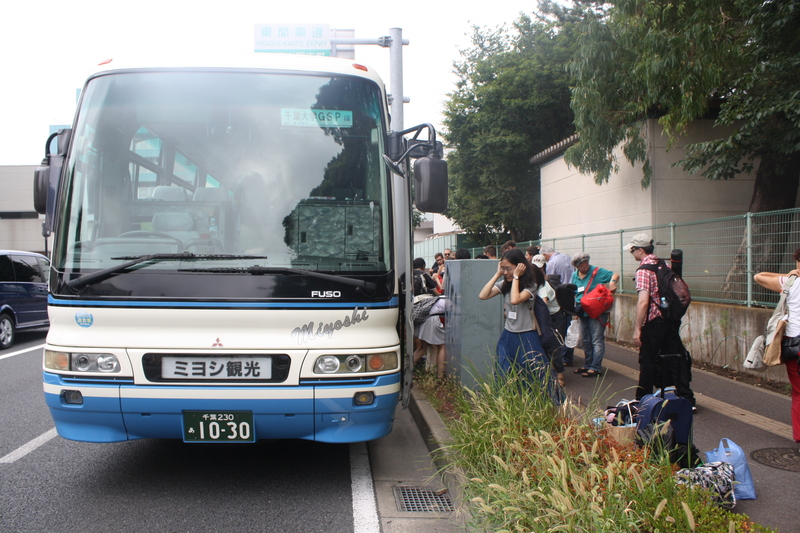 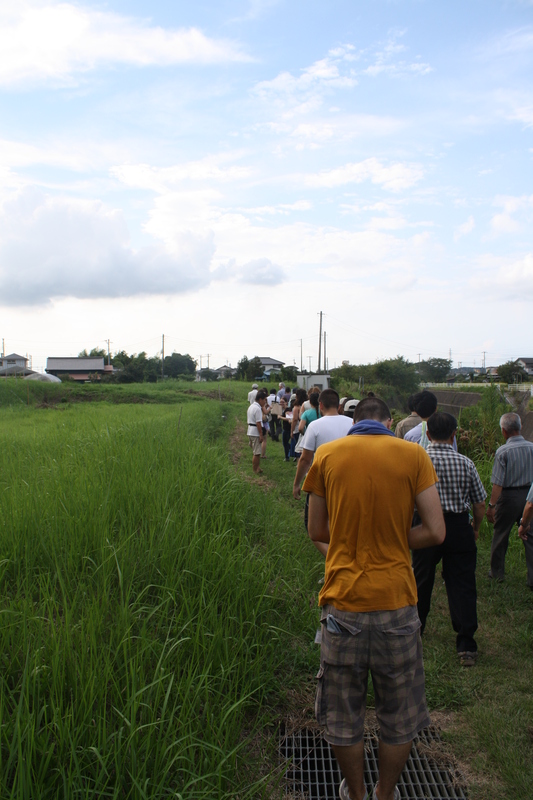 On Sunday (August 16), the day started early with an hour long trip on a charter bus to the south of the Bōsō peninsula, where we first spent a relaxing morning at Futsu Prefectural Park, before stopping by Sadamoto village, the host of the third CBD project in our program. 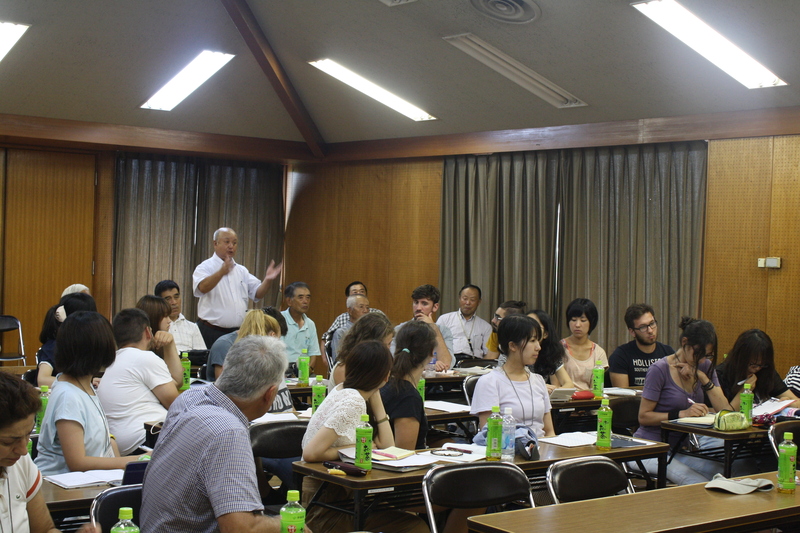 The afternoon began with a lecture followed by a Q&A session with Professor Saitō, the instigator of the project, and representatives from the local community who have been active in the project since its inception. 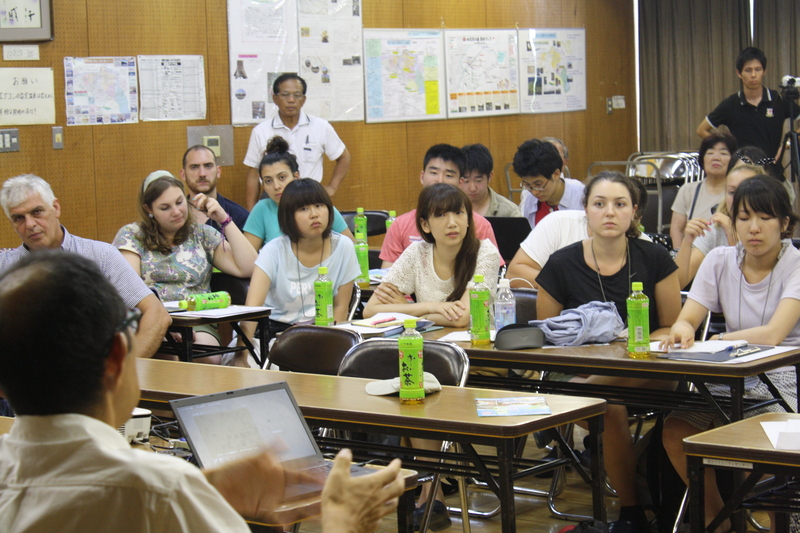 Students were offered the opportunity to consider the value of this small scale CBD endeavor, which has been run from the beginning in cooperation with academic researchers. 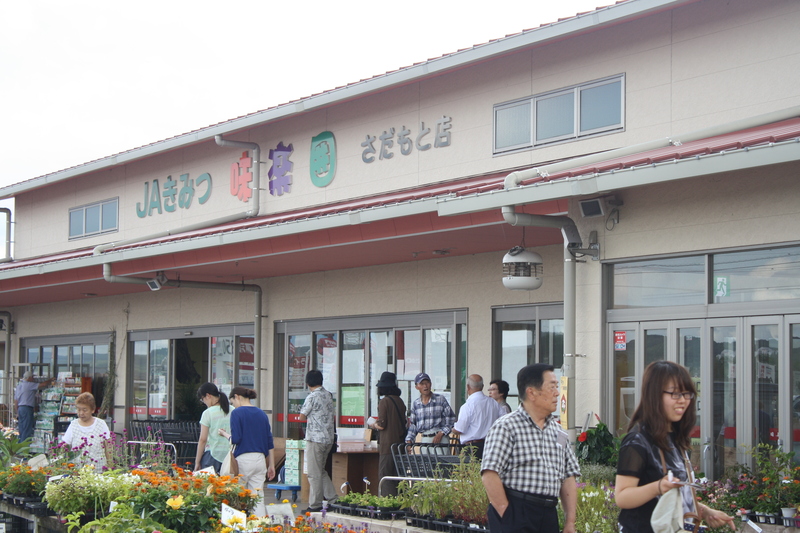 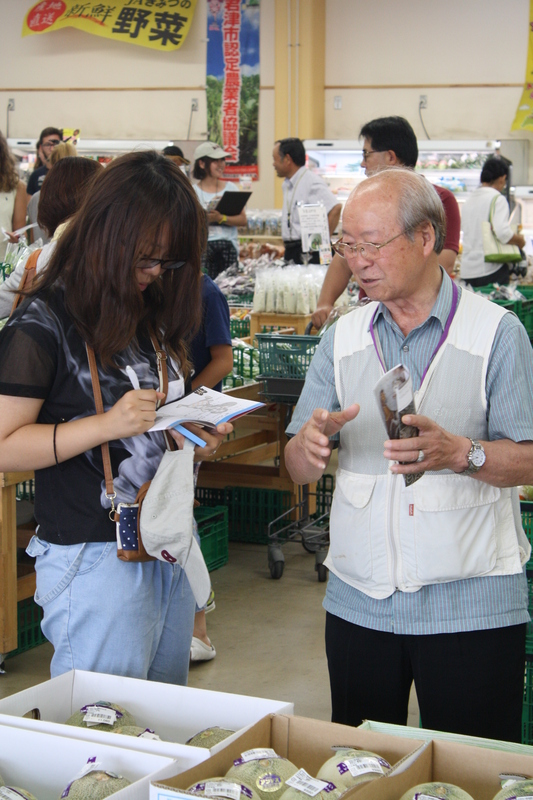 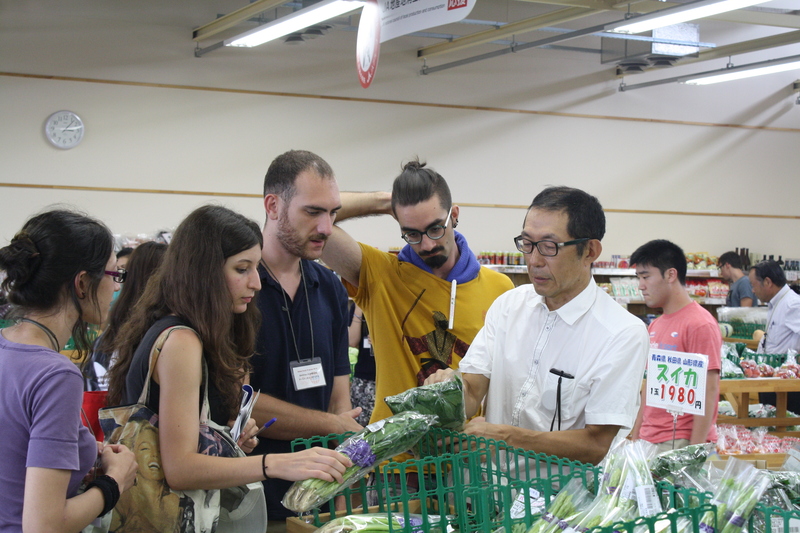 Later in the afternoon, students were taken to the local farm market, before being split in groups, and guided through Sadamoto’s promenade path, a central feature of the village’s community project. 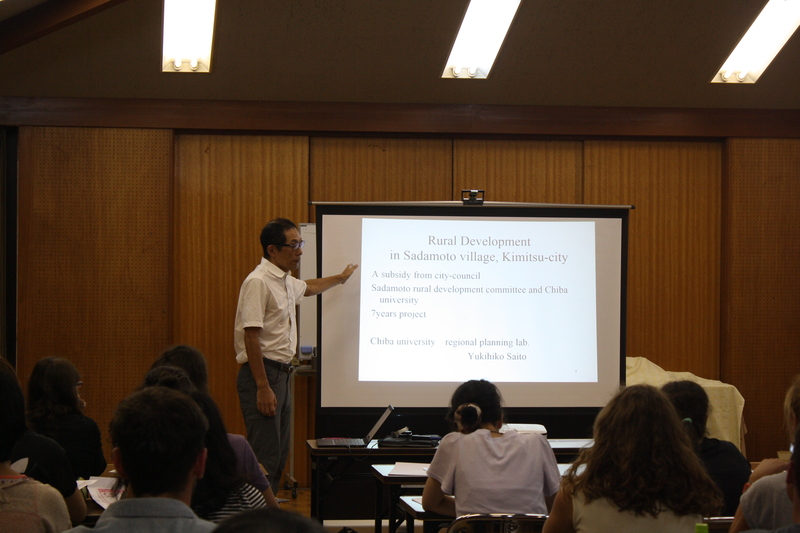 The various elements (such as signposts etc) that had been implemented to make the village more attractive became an inspiration for some of the final presentations of the program. 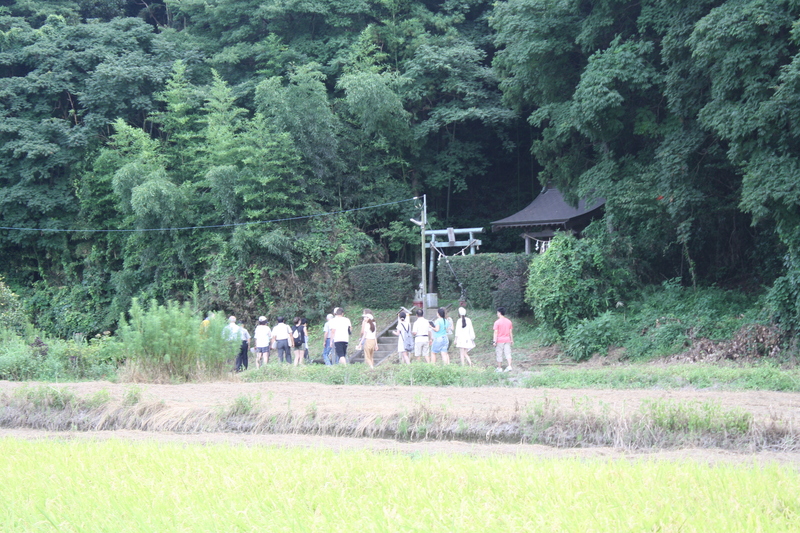 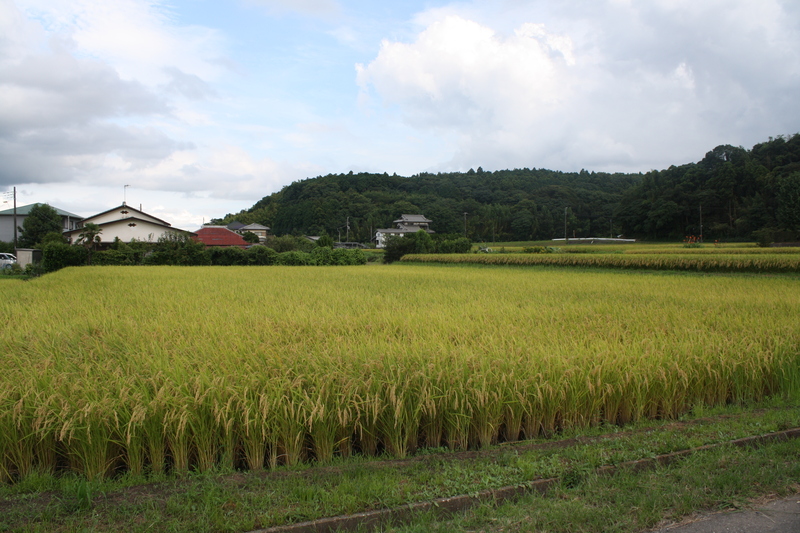 Early in the evening, we drove further south to Minami-Bōsō city, in the district of Kamimihara, where our main fieldwork destination, Kusu no Ki, was located. 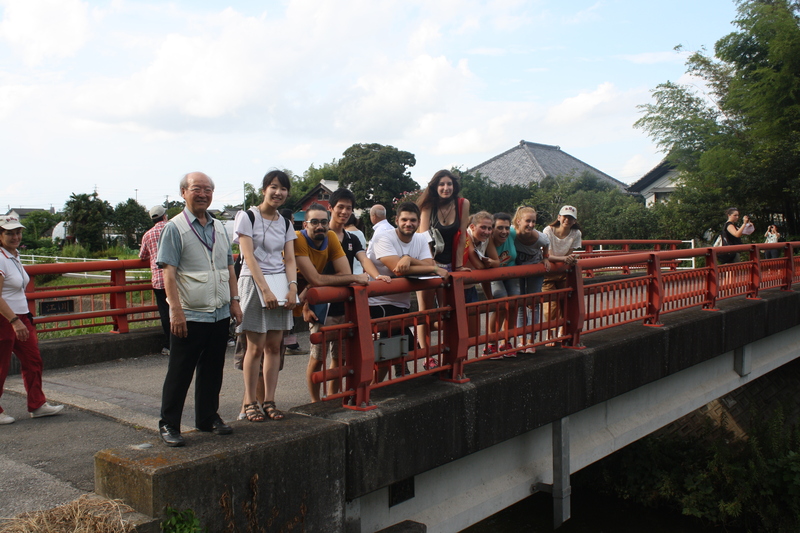 Kusu no Ki, a primary school building that has been turned into a guest house, was to host all of us for the next three days (4 nights).